Simplifying Our Lives... | Wasting less, praying more, and eating cleaner…one day at a time! Wasting less, praying more, and eating cleaner…one day at a time! Ahhhh!!! 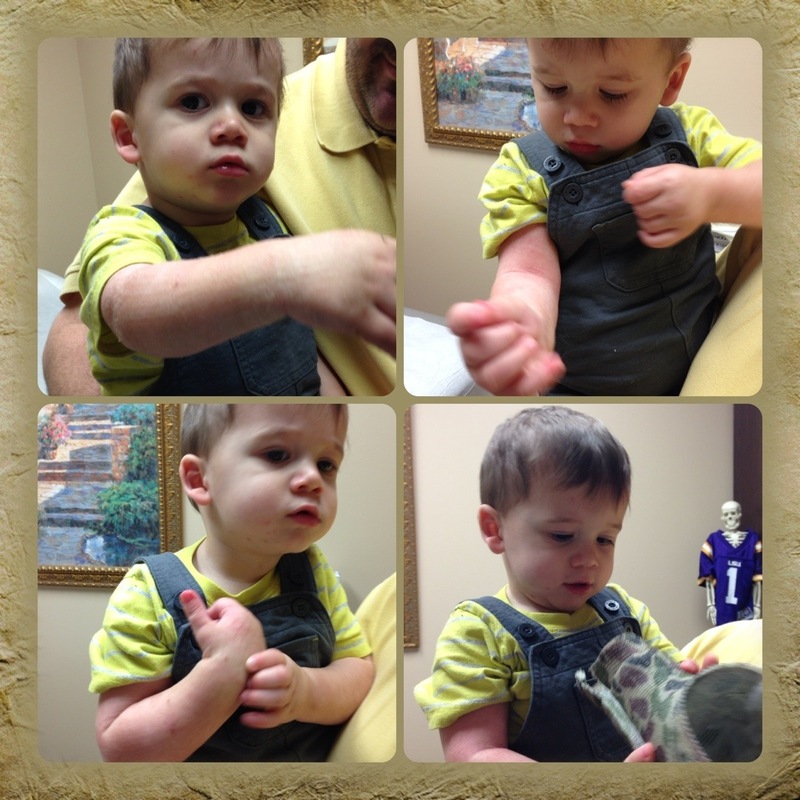 Today, I am forever grateful that William was able to get his cast off! For those of you who don’t know, he fell down with another child who landed on top of him, and the fall broke his arm. 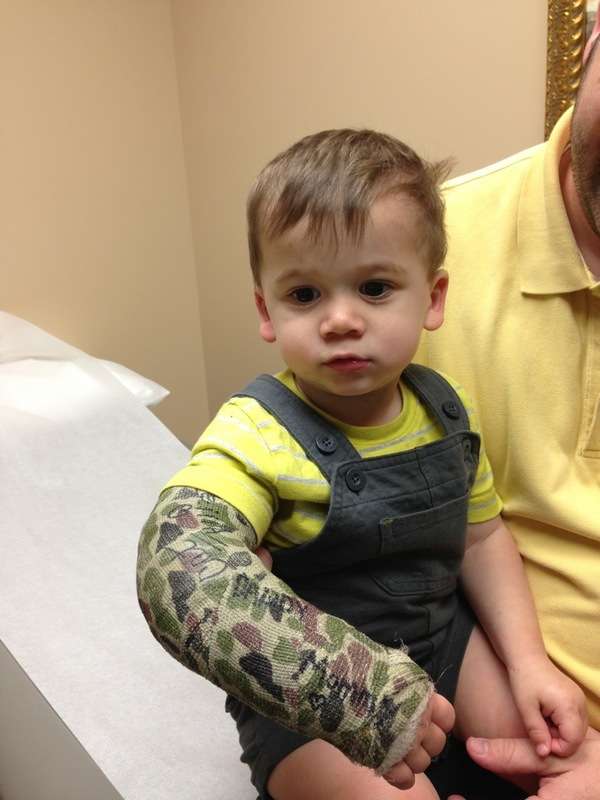 He has been in a full-arm cast for nearly a month! Today, after just 4 weeks, X-rays revealed that his arm was healed enough to remove the cast! We are so thankful that he healed so quickly! He still has to wear a splint for the majority of the time he is awake, especially during his most active times. However, we can remove it for baths and bedtime! Plus, it only covers his forearm, so he has full range of motion. Now that he is healed, we will work on him getting his strength and coordination back with that hand and arm. He’s still a bit wobbly and reserved with it, but he’s getting better already! Thanks for all the prayers! We feel truly blessed, as this could have been a whole lot worse! Today, I am thankful for praise. Yes, that’s right! I am thankful for the compliments and positive feedback that I receive. Unfortunately, in life, especially in the work place, it is so easy to get caught up what we have to do and what needs to be done that we forget about others in the process. It’s so unbelievably easy to point out what others are doing wrong, and it seems to take so much effort to find the good points. Today, my ego got a huge boost, thanks to some of my amazing administrators! First, I read over the results of a recent observation of mine, and they were great! This was especially exciting because the observation was done during math time. Math has been a bit of a touchy area this year with all of the new curriculum changes. So, I was super excited to hear some positive feedback on how I am doing with implementing it! Secondly, I was observed today by a different administrator, and I received some really kind, positive feedback from that, as well! Finally, we had some of our data looked over today, and I got an A+ result on that, too! Needless to say, my pride was booming! It feels really great to be noticed for all the hard work and passion that I put in to my job each and everyday! 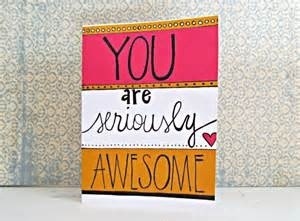 So, to those who lifted my spirits today, thank you! And, to my friends, I give you a challenge. Take a moment tomorrow to notice something positive that someone is doing, and let them know just how great you think they are! The world needs more smiles! This past summer, I started on a mission to get healthier and lose the rest of my pregnancy weight (from a year prior) plus some. I threw out all the processed foods and hit the pavement. Through eating cleaner and running three times a week, I lost 27 pounds in about 3 months. I’ve since plateaued (after returning to work from summer break), and I had gained back about 4.5 pounds. This week, however, I have gotten back on track! I’ve started tracking my calories again, eating much healthier, and even snuck in a little exercise here and there. I’m happy to say that I’ve lost 4 of the regained pounds! My next goal is to lose another 4 pounds so that I can officially be back at my college weight! So, today, I am thankful for the chance to start over. For fresh starts. 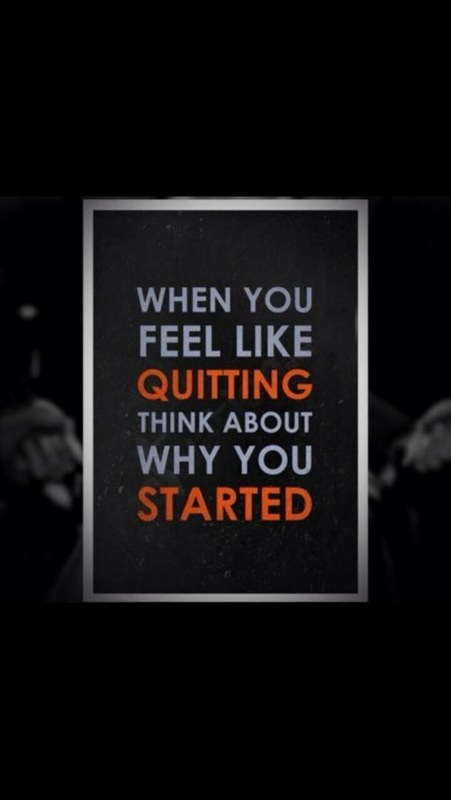 For not giving up. For coming to bed instead of eating something else like I really wanted to do. For an impromptu exercise session with my little girl before she went to bed. For taking control of my health. This made my heart smile! My daughter’s day is not complete until we read a book together before bed. 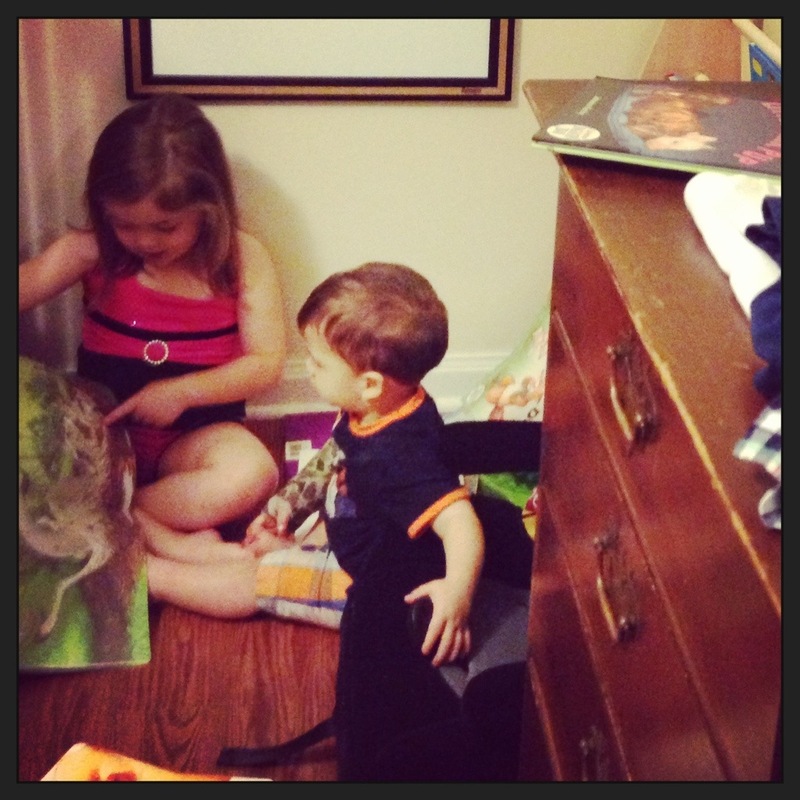 She loves picking out a new book each night or getting to read the next chapter if we’re working on a chapter book. I can’t wait until she is reading the words to me!! Today, I am thankful for friends! Although I consider myself to be friendly with lots of people, I don’t feel like I have a “bunch” of friends. There are very few people that I have a relationship with outside of work, Facebook, or Cecilia’s school and extracurricular activities. However, I am so grateful for the friends that I do have! 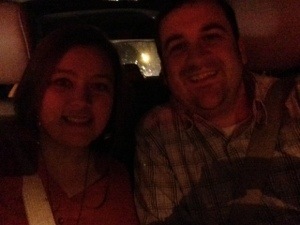 The hubby and I went on a double date to have dinner and see a movie with two of our very good friends Saturday night. It was nice to get out and have some adult conversation. I used to not think that we “needed” date nights. It wasn’t until we started having date nights that I realized how much we do need them! With Cecilia, we NEVER did anything alone or with friends. We were so drunk in love with being new parents, that we didn’t want to leave her side! However, now that we have two children, life can get hectic sometimes. It wasn’t until recently that we started getting out and doing things without the kiddos. There are many reasons for this. One is that we just don’t feel the desire to leave our babies, especially when they are teeny tiny. So, we have to force ourselves to take that time that we need just to be us. Secondly, we don’t have immediate family near us. Our parents live two and three hours away. Thankfully, a wonderful former student of mine, who has grown to be like a part of our family, is finally of age to babysit. She actually calls or texts and ASKS to keep the kids. 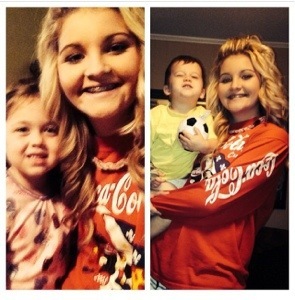 She is like a big sister to them, so we feel extremely comfortable leaving her with them! Plus, we usually don’t go until late, so the kids (at least William) is usually in bed before we leave or very soon after. So, we don’t feel like we are missing out on time with them. On Saturday, my daughter and I had a full day of girl time while they boys went and did boy things! We had such a great time! My daughter loves when it’s just the two of us! It makes her feel really special. 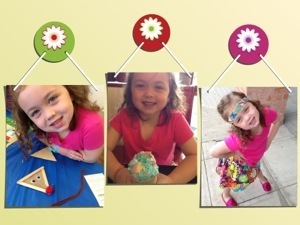 We did lots of shopping for her upcoming birthday party, had lunch, did a couple crafts at some of the stores we visited, had an ice cream treat, and bought ourselves a couple prizes! I’m so thankful for days like these! It reminds me how we must cherish every moment and really focus on spending quality time with the ones we love! Aaahh! I know I’m a few days late, but on Friday, I was so thankful for Fridays! I love Fridays! Fridays are such a great day at work. It’s test day, so the students are all focused and on task…and quiet! 😉 Usually, on Friday afternoons, we watch an educational movie of some sort that is related to what we have been learning. This Friday was extra special, though, because my students had earned a party for their awesome behavior. So, we watched a fun movie and had brownies and ice cream. They were in heaven! And, well, so was I! Haha! Fridays are just great! I love the casualness of them and the anticipation and excitement they bring for the upcoming weekend! TGIF, y’all! Today, I am thankful for nature. Outdoors. Fresh air. The simple things. 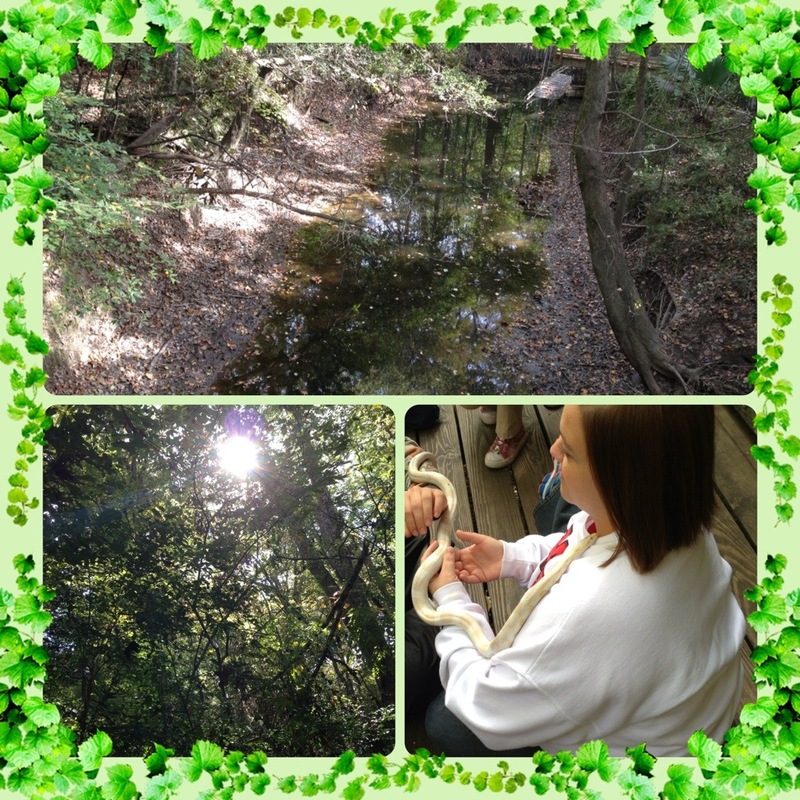 I took my students on a field trip to a local nature station. It is my favorite field trip of the year! It’s a calm, quiet, peaceful one. It is such a great experience for both the students and the adults who attend. The moms who chaperoned had a great time and couldn’t believe how much they learned! The students were enthralled with things other than televisions, cell phones, and video games. They became familiar with various trees and plants and other living creatures. They learned new words like biodiversity, escarpment, and non-renewable. They identified poison ivy, fungi, and soft-shell turtles. And many of them held a snake for the first time in their lives! I love seeing the innocence return to my students’ faces when they see these “simple” life pleasures, really see them, for the very first time! I also love the renewed sense of minimalism I get when I visit the park. I always walk away reevaluating the needs and wants in my life, thinking of more ways to live simpler! It reminds me what a wasteful society we are and how we all need to play a bigger part in helping to save our earth, reducing the waste that we make by reusing things that we are so quick to throw away and recycling what we can. Since visiting the nature station last year, I have made so many changes in my life! Visiting today made me realize that there are still so many things that I can change! A couple days ago, I went to a training to get certified to handle and administer medication to students. Usually, I dread workshop days, as they are often filled with mundane speakers telling us things we already know or that don’t pertain to us. This one was different, however! I learned so many new things that can even be used in my own personal life! I’m thankful that I’m given chances like this to expand my knowledge! I love learning, and I’m so glad that I am still able to seize opportunities like these and educate myself further on a variety of topics! So, I’ve fallen a bit behind in my 30 Days of Thanks challenge, so I’m going to play catchup tonight! Afternoons have been a little hectic around here, and I’ve been in bed super early the last few nights! I’m thankful for my home. On Tuesday, when the kids and I got home, we went outside to play. Unfortunately, we didn’t last long, as the temperature dropped suddenly, and the wind got stronger! It was way too cold for the kiddos, so we came inside to warm up. It was at that moment that I was reminded of the luxury of having a warm, safe, comfortable roof over our heads. I am so grateful that my husband and I have the ability and the drive to work so hard to provide this for our children! I know that not everyone is as blessed as we are. As Luck Would Have It, We get a Second Chance at a Happy Ending! Just a girl turning her passions into purpose, one post at a time.. Wasting less, praying more, and eating cleaner...one day at a time! Totally normal. Except for that whole "living in a bus" thing. Smart cloth diaper information *and more* for smart parents.